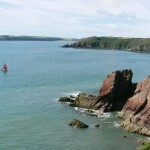 Sandy Haven is the nearest sandy beach to the town of Milford Haven and is a popular recreational spot. It has a car park, camping area, caravan site and toilets. 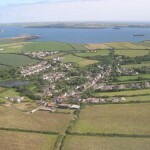 As a result it is a fairly busy beach in summer and a popular dog romping area. 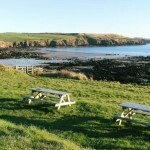 An alternative that is never crowded is Lindsway Bay. 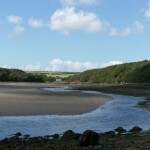 From Sandy Haven beach a sand filled pill or tidal creek extends inland 1.4 miles and is an interesting low tide walk. 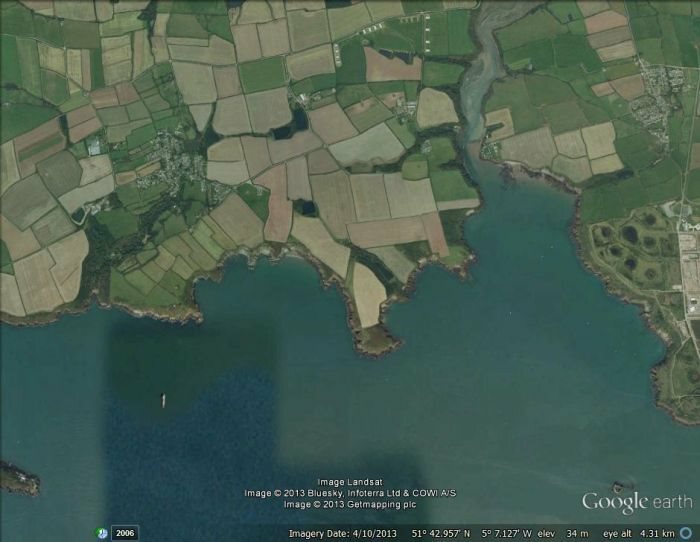 A map and a Google Earth image showing the pill and coastline on either side are shown here and the beaches, headlands and rocks are named. 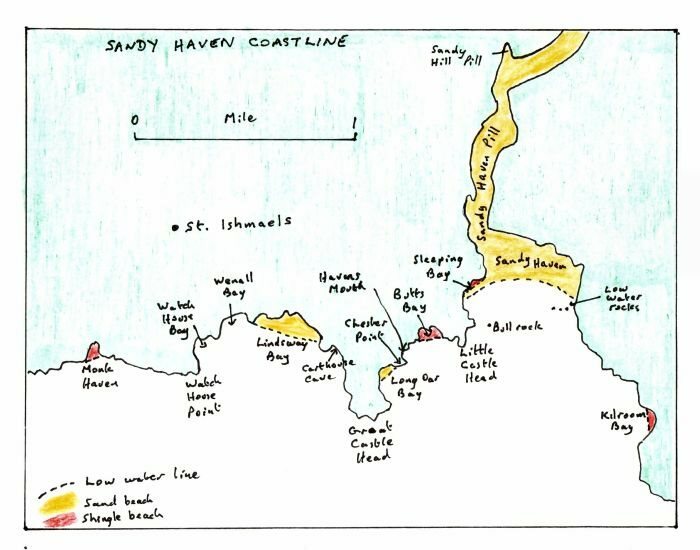 If one has a kayak, canoe or a small dinghy there are many places that can be reached by water including some beaches to the west of Sandy Haven that are not accessible from the land. So that even at the busiest time of the year (the summer school holidays) it is possible to have a beach to oneself. 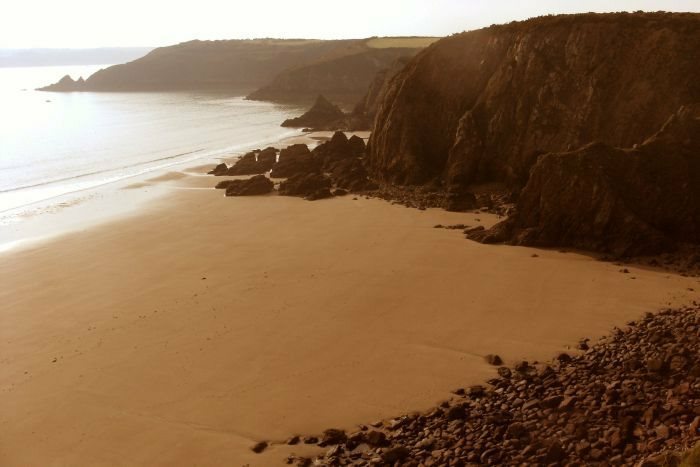 In summer Sandy Haven beach has many sheltered spots amongst the low cliffs at the top of the beach and a broad flat expanse of sand at low tide. 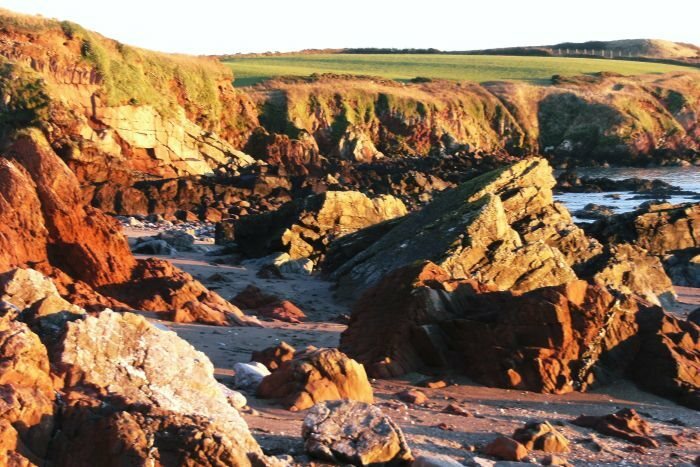 An area of rock and rock pools is present on the west side of the beach. 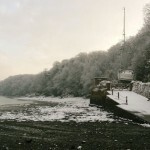 Low on the beach and only exposed at low tide, is a large block of rock about 7 feet high that is covered at high tide. This is a useful warning rock as when the sea has risen half way up it then the footbridge across the pill (invisible from the beach) is just being covered or uncovered by the sea. Sandy Haven is quite different in winter with a big swell coming through the entrance of the waterway and surf breaking on the beach. On rainy days there as places to shelter in the cliffs at the top of the beach. 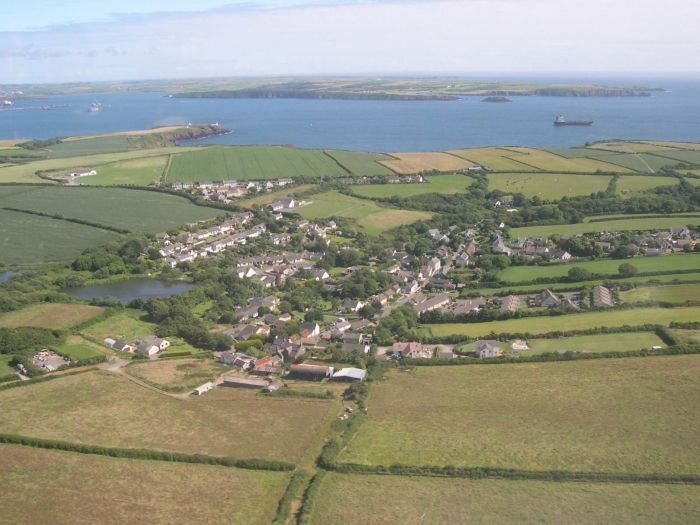 For trips in the pill it is best to launch about 2 hours before high tide and return about 2 hours after high tide. 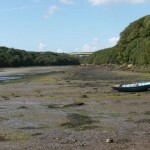 For trips further afield one sometimes returns at low tide. 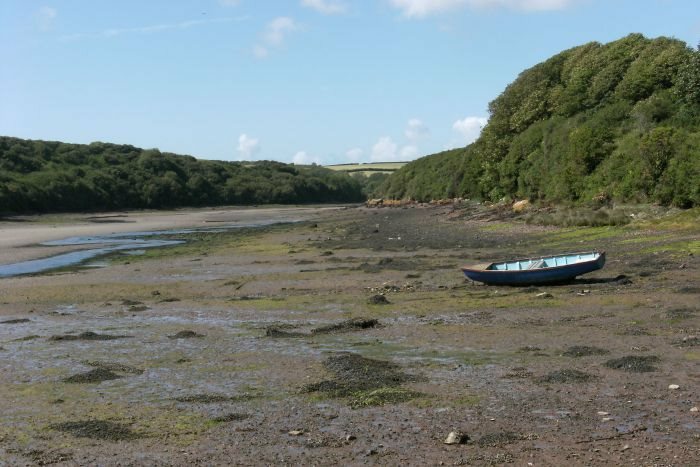 It is still possible to get a kayak back to the launching beach at low tide by walking and towing it up the broad stream of water flowing down the creek until one reaches the crabbing beach. In spring up to two dozen swans can be found in the pill and as the tide goes out they move out to the sea edge and then move back up the pill as the tide returns. When the flock takes off from the water they create a very loud splashing and thumping noise. 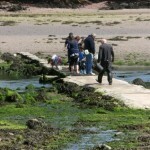 The stream across the pill can be crossed by the crabbing bridge – a footbridge that can have 18 feet of water over it at high spring tide and is very popular with children for catching crabs. On the west side of the crabbing bridge is a hard shingle beach reached by a public road that is a popular boat launching place. 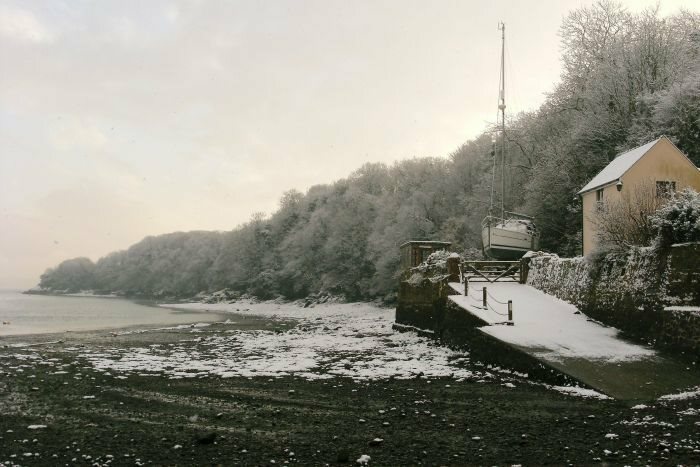 Cars can be driven onto the shingle beach as it is a hard surface – indeed it is the only place to turn a car if one drives down the cul-de-sac to the beach. In summer because of the few parking places on the west side, people often park on the beach at low tide. 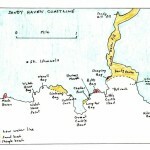 Most people however drive to the east side of sandy Haven pill where there is a car park and camp site. 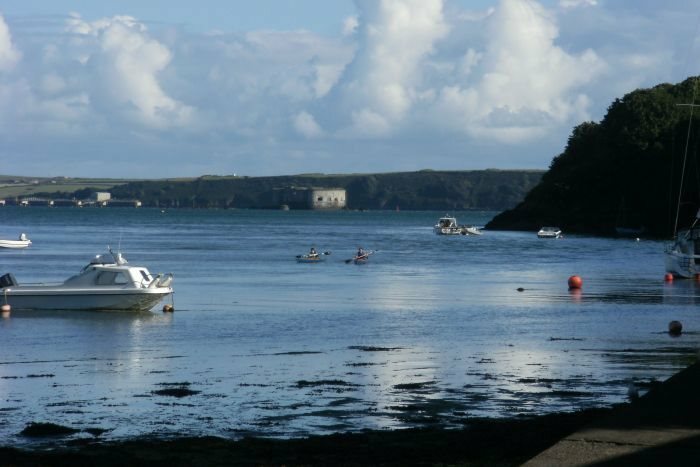 To explore the pill by kayak launched on an incoming tide it is very pleasant to let the current take one up the creek, play around in the half hour of slack water at high tide and then let the current take one back down the creek again. 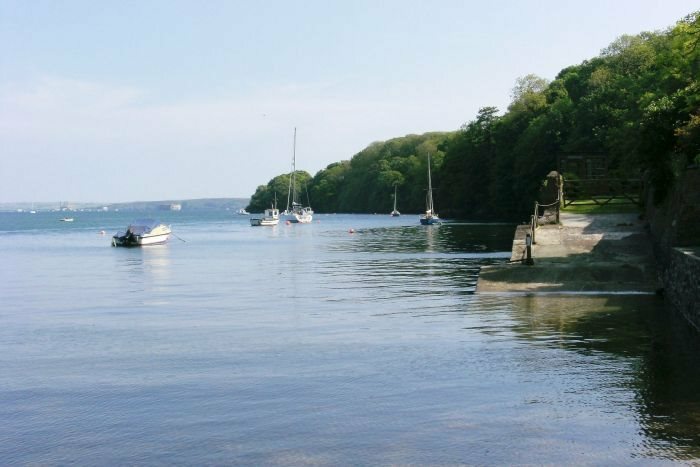 From the upper part of the creek at high tide it is possible to watch the tide turning as the summer boats moored in the lower creek will swing with the turning tide from sterns up-creek as the tide comes in to sterns down-creek as the tide goes out. 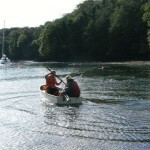 There is a good swim up the creek at high tide if one has a dinghy follower to pick up the swimmer. By swimming in the main current heading up-creek one moves along the creek quite rapidly. 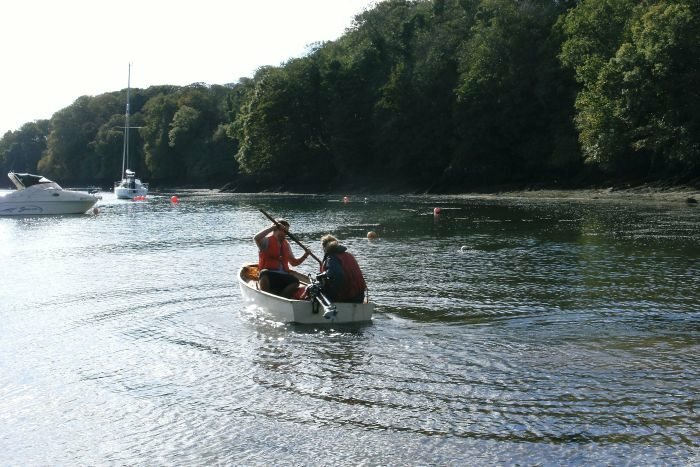 Most desirable for creek exploration by boat is a high spring tide as there is then a lot of area to explore including beneath the branches of overhanging giant trees whose branches just touch the water at these times. 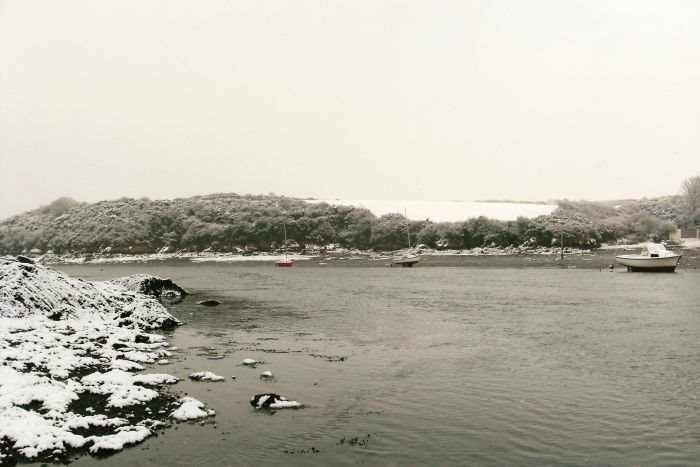 No two boat trips up the creek are the same as the weather varies. 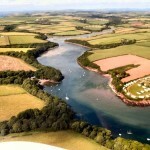 Highly desirable is the summer combination of a high spring tide with a windless sunny day. The warmth reflecting off the smooth green oily water is pleasant and soporific. 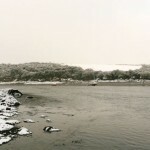 Another variation is to launch as the tide turns and follow the flooding of the creek. While waiting on the crabbing bridge for the flow to reverse one can see hungry mullet fish advance in a rush under the footbridge and then up the creek to be the first to get the titbits brought down in the stream at low tide. They are also the last to leave and the large silvery fish can be seen in the clear water racing down the creek in the last outgoing stream of water. 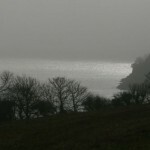 The pill and coastline are most mysterious places for a boat trip in dense sea fog. There are many things to see along the pill. 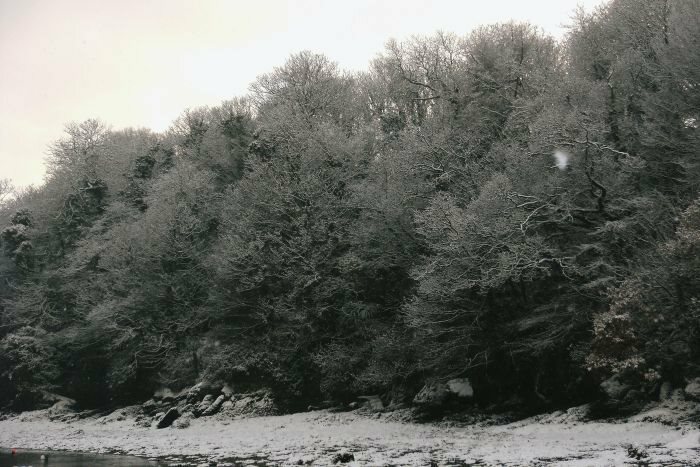 In Victorian times it was a busy place and hidden in the trees at most of the points where streams enter it are overgrown old lime kilns and watermills some used for fulling or beating the oil out of sheeps wool. The old trading schooners are still there but hard to recognise as their iron pins have rusted away and they are now clusters of loose baulks of timber lying in clusters at the edges of the creek and covered in seaweed but with associated rusty metal remains such as winches. 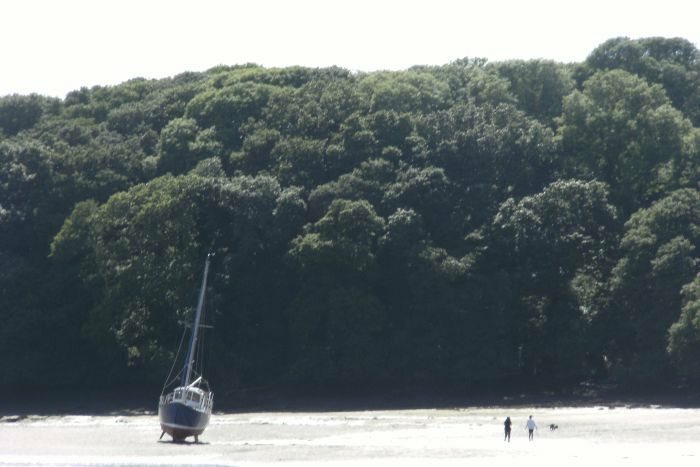 Most prominent today is the Quarantine Wreck (also be reached by a pleasant walk up the sandy bed of the creek at low tide). Her remains lie on the east side of the creek just past the prominent bend. 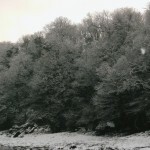 She is recorded in a Graham Sutherland painting of the creek. She was used in the first World War as a quarantine ship for sick service people. 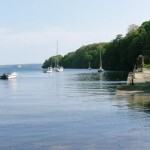 At the extreme head of the creek, attainable only at high tide as the bottom is mud, there is a well preserved stone quay made of local sandstone. This is the highest point that could be reached by trading schooner in the Victorian days before railway lines, asphalt roads and motor engines. Here cargoes were loaded and unloaded for the farms and villages. A track led along the valley bottom to arrive at Walwyns Castle village. This track was important for a very long time as two Iron Age hill forts lie on either side of it. Unfortunately today they are now heavily overgrown but are recorded on detailed topographic maps. For those who plan longer boat trips outside Sandy Haven pill, a launch two hours before high tide presents the problem of a strong current flowing up the creek. However a study of the water surface will reveal that there is a counter current on the west side of the creek. The trick is not to fight the incoming current but to paddle along the west side of the creek to reach the mouth of the creek in the counter current and in the shelter of the cliffs. The mouth of the creek is a pleasant spot in summer when bass fishermen can be seen on both sides. I have fished from a boat at the entrance in warm sunshine with strong smells on the air of gorse bushes growing along the western cliff, accompanied by a seal. 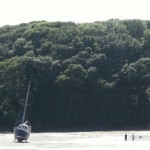 There is an interesting mile-long high-tide boat trip along the sea cliffs from Sandy Haven to Kilroom Bay. Along the cliffs all sorts of interesting things can be seen and collected from the high tide mark or in clefts in the red sandstone and shale rocks. These range from lengths of wood to fish floats. 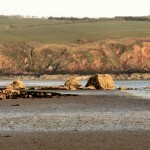 At low tide they are not easily accessible as the rocks are slippery. Kilroom beach is backed by high cliffs and is mainly a gravel beach with small areas of sand and has god swimming. 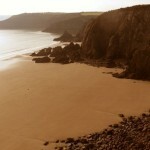 It is usually deserted as only cliff path walkers go by and seldom climb down the beach. Immediately north of Kilroom Bay is another but unnamed bay with a beach of large boulders and there is often a swell breaking there. However this is a good beach for collecting wood. My most useful find there was half a telephone pole that I used to build the well in the garden of The Anchorage. 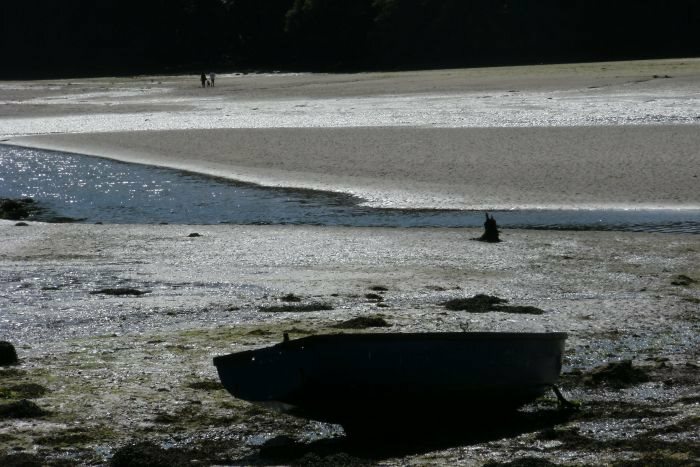 At low tide Sleeping Bay is accessible on foot across the broad strip of sand then exposed. 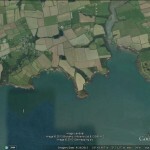 However at high tide it is quite inaccessible except by boat. The upper part of the beach consists of shingle and pebbles. 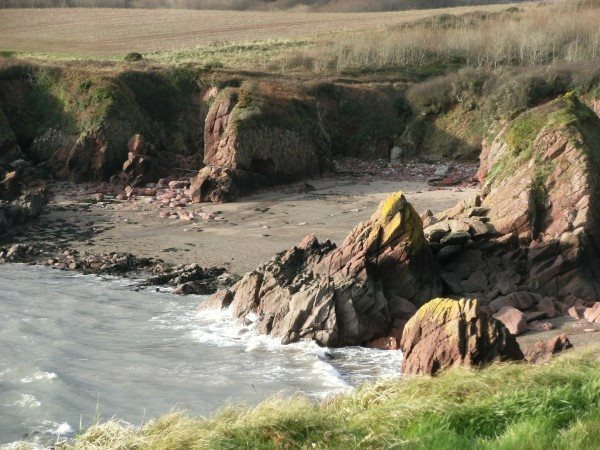 In summer the beach is sheltered from the prevailing south-westerly winds by the cliffs of Great Castle Head and it is a very warm spot. 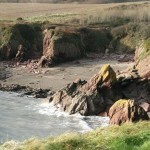 Sleeping Bay is separated from Sandy Haven by the headland of Little Castle Head that is the site of an Iron Age fort. 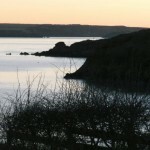 Much has been lost to the sea but the embankment can be seen covered in bracken and blackberry bushes. This is a splendid little beach accessible only from the sea. A few years ago a family living nearby made a steep path with a knotted rope down to the beach, but this has now been abandoned and is overgrown. The beach is quite big and consists of shingle with lesser areas of sand. It is a fine warm sheltered beach with good swimming. 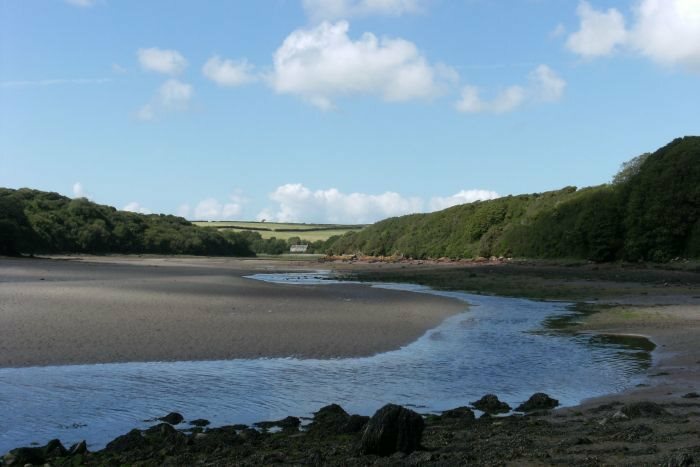 This is lovely little beach that has a good sand beach at low tide that disappears at high tide, when there is room at the top of the beach on pebbles to BBQ. It is accessible only by boat and on summer weekends a few people motor or sail and anchor there but most week days it is empty. 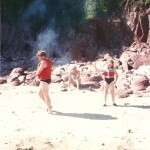 Our family have always enjoyed this beach in summer usually to ourselves. 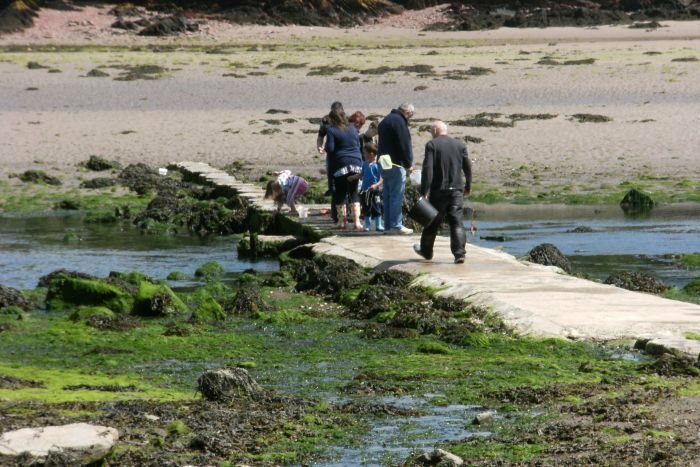 To get a family sized party onto the beach we send somebody around by boat and the family walks along the coast path as far as Havens Mouth. 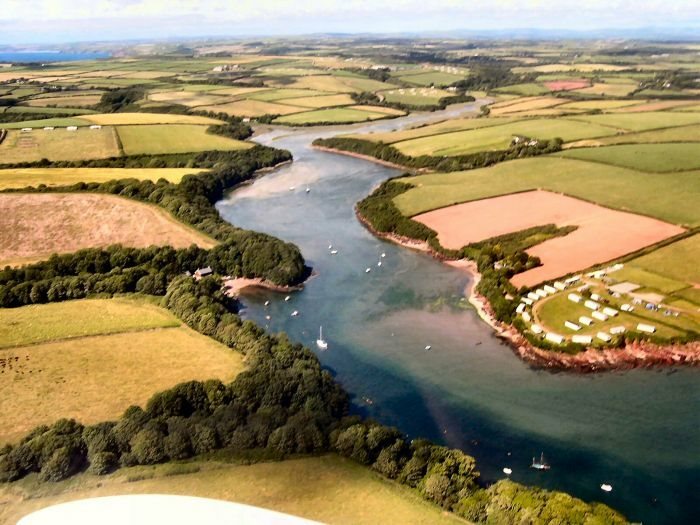 This is a place where a stream crosses the coast path and is the only place where the coast path descends to a pebble and rock beach. 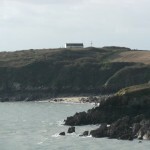 It is an easy operation to move a family the short distance around Chester Point onto the sands of Lonmgoar Beach. We have BBQ’d there and find that unlike the popular beaches, the seabirds regard these isolated beaches as theirs and will steal BBQ at every chance. 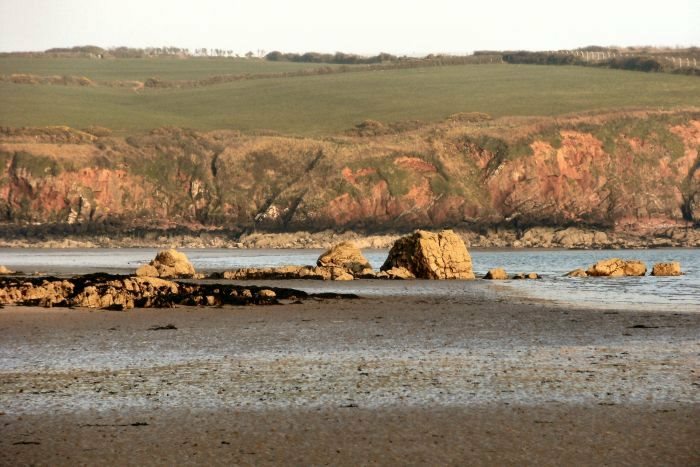 Long Oar Bay is sheltered from the south-westerly winds by Great Castle Head where a lighthouse (now demolished) once stood. 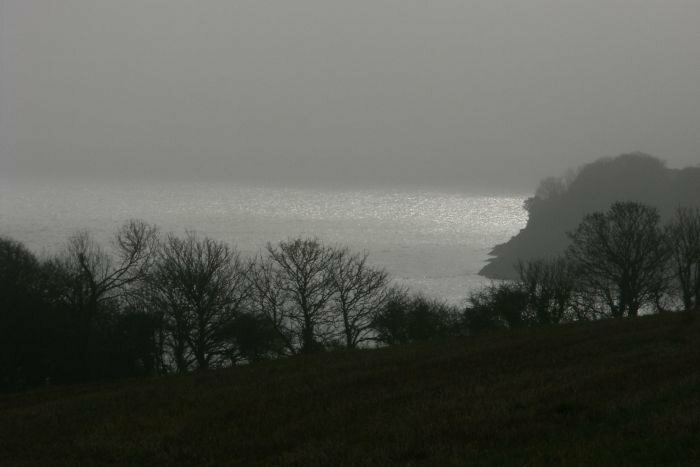 The headland is the site of an Iron Age Fort and the coast path cuts through its earth embankment. 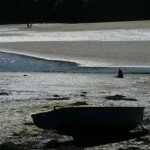 This very lovely beach had a large expanse of firm sand at low tide but at very high tide the sand is covered. 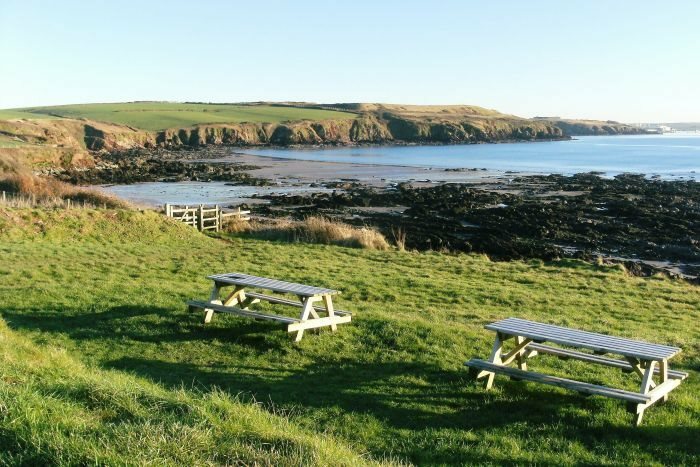 The beach has no car park and access is by parking at the sports field in St. Ishmaels village and following the asphalted foot path to the cliff edge (it starts at the public toilets). There is a very steep set of stone steps down the cliff face that some find daunting (usually adults rather than children). In August 2013 there was a fire on the cliff and parts of the path down to the beach lost their vegetation screen so that there are now steep drops onto the beach, making the path temporarily unsuitable for visitors. 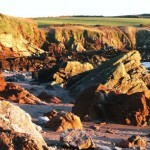 The beach is never crowded like Sandy Haven and there are rock pools with crabs and shrimps in which children can play. 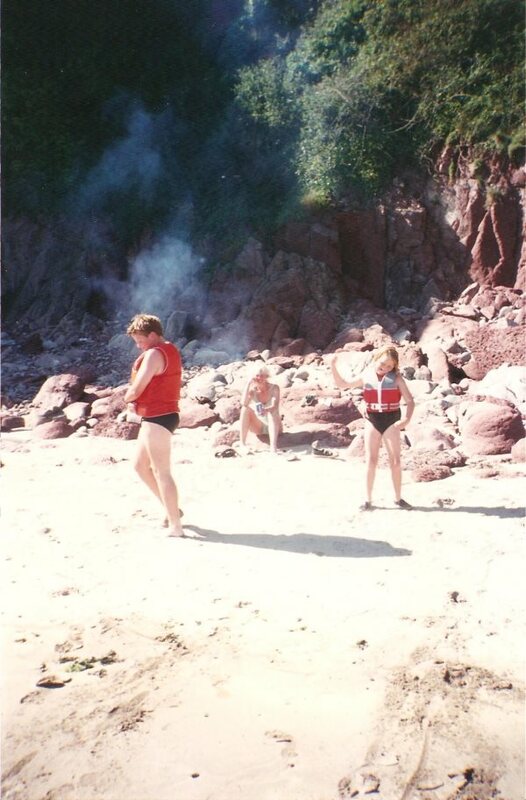 It was very popular with my family at the time we had four small children as after a day on the beach we would all go to the Brooke Inn in the middle of St. Ishmaels village and have supper and cider in the gardens as the sun set alongside the brook. 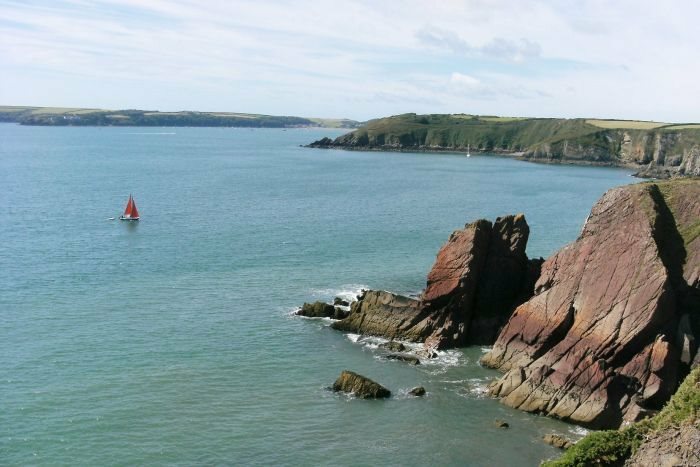 Lindsway Bay is famous in Pembrokeshire because of a visit by the Royal Yacht Britannia to the Milford Haven waterway in 1955. On Sunday 7th August a young Queen Elizabeth accompanied by Price Charles (then ages 7 years) and a young Princess Anne (then aged 5 years) were taken by ships launch to Lindsway Beach where they walked and swam. This small shingle and pebble beach is accessed from the car park at the church. 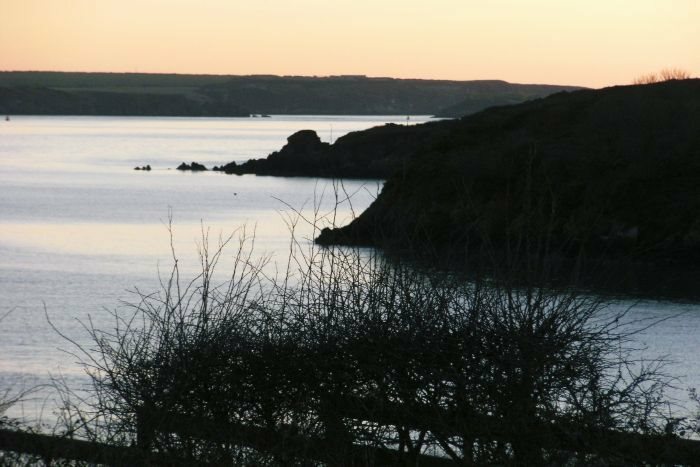 Follow a footpath behind the graveyard and a large house, past a large pond caused by damming the valley stream and then through an old stone estate wall onto the beach. The valley is the site of an old monastery and some of the ivy covered ruins can be glimpsed from the footpath. The wall was part of the Trewarren Estate developed by a 19th century squire who is still remembered. In addition to high estate walls he built a small folly tower on the cliff edge a part of which has now crumbled down the cliff face. 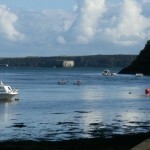 The folly can be found by following the coast path from the beach back towards Milford Haven for a short distance. The squire was also famous for putting exotic plants on the estate and clumps of bamboo were still growing in the 1980s. 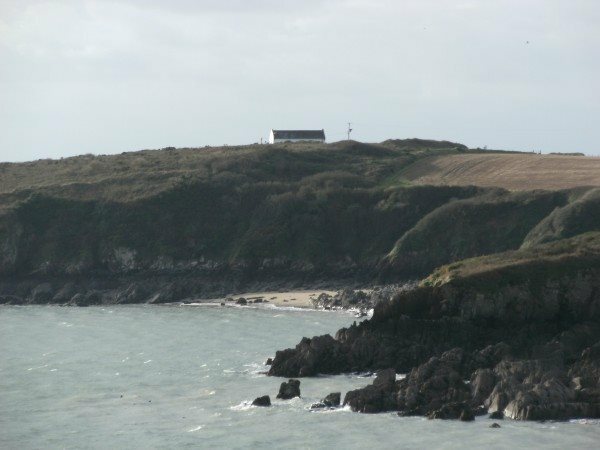 Between Lindsway Bay and Monks Haven is Watch House point where the remains of a World War I gun emplacement and watch tower are heavily overgrown on the cliff top and on the cliff face.